A homemade face cream can be better than harsh commercials creams. Most commercial skin care products contain harsh, manufactured, chemicals that can cause poor skin conditions. 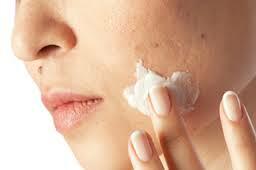 Some creams contain strong or irritating, synthetic, fragrances. Some are either too thick and heavy or too thin and runny on skin. Some leave greasy or oily after affects. STOP! Get back to nature! Improve the appearance of your skin! Learn natural ingredients to soothe, moisturize, rejuvenate, replenish and heal skin. Learn how to make a natural face cream. Find homemade recipes! - ALLANTOIN: Healing, moisturizing, soothing, anti-irritant, skin softening, promotes healthy tissue formation. Treats skin ulcers, wounds, scalds, burns, sunburns, carbuncles, acne and skin eruptions, fissures and abrasions, impetigo, eczema and psoriasis. - COCOA BUTTER: Hydrates skin. Smoothes, softens. Gives natural glow. Helps fade scars and stretch marks. Has high amounts of antioxidants. - COCONUT OIL: Reduce inflammation, moisten, soften, ward off sun damage. Fade fine lines, discolorations, dark spots and wrinkles. Has antioxidants. Natural anti-microbial, anti-fungal and anti-viral. Protects against skin diseases. Has small amounts of vitamins A, E and K.
- CORNFLOWER: Healing properties, particularly, in case of bruises. Designed for use around the eyes. - CUCUMBER: Moisture binding, moisture regulating, tightening, anti-itching, refreshing, softening, soothing, astringent, anti-inflammatory. Strengthens skin. Used in eye treatment products, aftershave preparations, and oily skin. A tightening refresher. - GOATS MILK: Goats milk is a buffer that leaves skin close to its natural pH. Aids in the regeneration of collagen under the skin, negating the signs of visible aging. Moisturizes and soothes dry itchy skin. - GREEN TEA: Powerful anti-oxidant, anti-inflammatory, anti-bacterial, rejuvenates skin, reduce skin swelling, tones and protects scalp, prevent sun damage, promote elasticity, found in sunscreens. - ROMAN CHAMOMILE: Anti-inflammatory, soothes irritated skin, reduces redness or swelling due to rashes or other skin irritations. - ROSEMARY: Wound healing, astringent, antiseptic, antibacterial, reactivating, softening, antioxidant and invigorating. Helps improve blood circulation. Aids in skin regeneration. Used in anti-aging products. - SHEA BUTTER: Deeply moisturizing. Strengthening. Skin and UV protecting. Regenerating. Has antioxidants. Reduce inflammation. Helps heal minor cuts and burns. Reduce fine lines, wrinkles and scars. Helps heals sore muscles. Essential oils are used for making homemade face cream and other natural body products. Why use essential oils? History tells us various natural oils have been used to provide treatments and remedies for a variety of ailments. Many essential oils contain antiseptic properties, able to destroy bacteria or prevent its growth. They can have an uplifting effect on the mind, body and spirit. They're often used for aromatherapy. They're diluted in carrier oil and used for relaxing or soothing massages. CAUTION! Essential oils contain bioactive ingredients. This means they contain natural chemicals that interact with biological systems. They're potent chemicals and should be used with care! CAUTION! Never use large amounts of essential oils externally, or internally. Never use them straight. They must always be diluted in carrier oil, or soap, lotion, or other buffering agent. CAUTION! Never use essential oils without knowing what their bioactive compounds are known to do. A homemade face cream isn't the only option for beautiful skin! A homemade face mask is an excellent way to improve skin's condition. Soothe dry itchy skin! Get rid of acne! Brighten complexion! Use organic ingredients for the best results. Follow instructions, carefully. Mix all ingredients well. Rinse face with cool or lukewarm water. Gently pat dry with clean towel. Mash and mix 1 ripe organic avocado, 1 organic banana and 1 teaspoon of organic honey. Mix until a smooth texture. Apply to face, evenly, avoiding eyes, ears or other sensitive areas. Let stand for approx. 5 minutes. Rinse face with arm water. Gently pat dry. Mix together 2 spoons coconut oil, 1 egg, 1 spoon honey, 1 spoon yogurt and 1 spoon sugar. Apply mixture to face and leave on up to 15 minutes. Rinse with warm water. (*NOTE*) Use organic, unrefined, virgin or extra virgin coconut oil for skin care. CAUTION! Do not apply hot, burning, oil to skin, face, or scalp. Hot oil can cause blisters. Avoid sensitive areas. Brew 1 cup white tea. Add 2 tbsp. honey, 2 tbsp. aloe and 1 tsp. lemon juice. Slice 1 cucumber. Add cucumber slices to other ingredients. Mix all ingredients together, well. Refrigerate mixture overnight. In the morning, apply cucumber slices to face. Let stand for 3 to 5 minutes. (The cucumber slices absorbed the other nutrients.) Remove cucumber from face. Rinse face with water, thoroughly. Gently pat dry. For healthful and nourishing skin use homemade natural body products!